This is a sponsored post on behalf of Martha Stewart Crafts as always all opinions are our own. 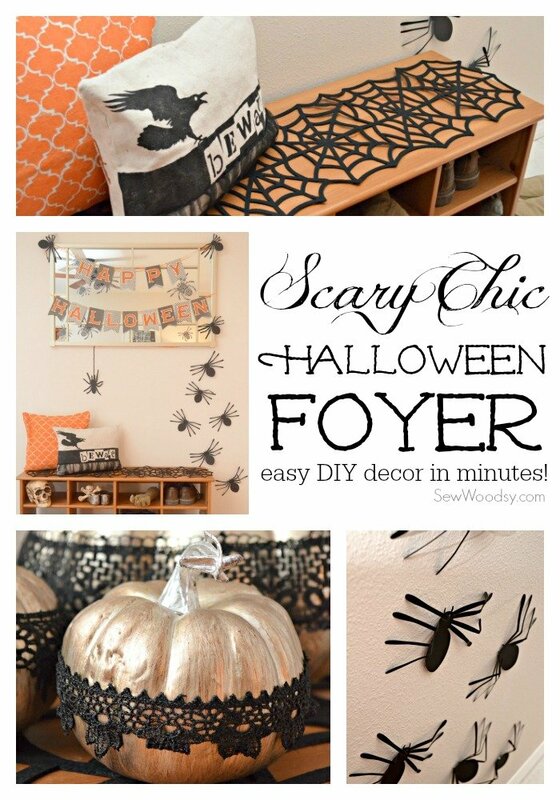 Learn how easy it is to transform your foyer into a Scary Chic Halloween Foyer in minutes! Even though we aren’t decorating our house like crazy for Halloween like we have in the past, I felt the need to decorate the foyer of our home. 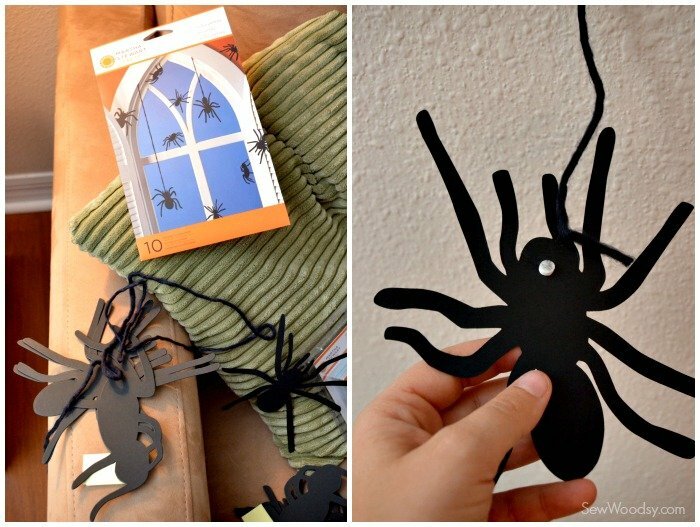 I received a bunch of cool Martha Stewart Halloween decorations and wanted to put them to use! I went with a scary chic theme in the entryway. With a few simple DIY touches along with the fabulous pre-made decor I transformed our foyer in less than an hour. 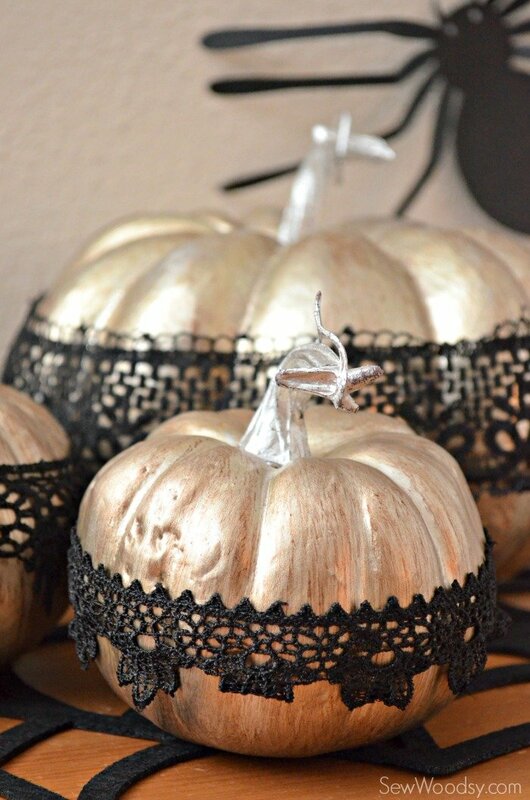 First I used the lace decoupage product and wrapped it around my metallic artificial pumpkins. I didn’t decoupage them on. 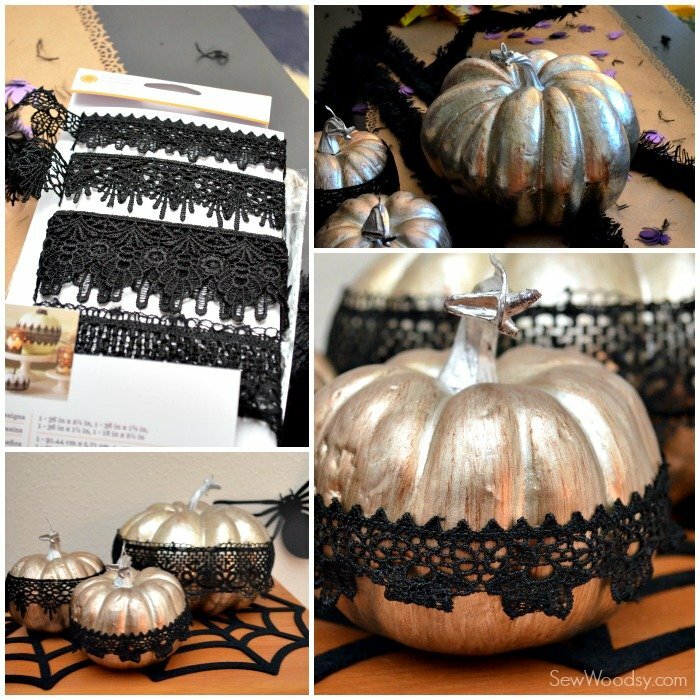 I simply adhered a glue dot on the back of the pumpkin to secure the lace. I did this so I can reuse and do something new to the pumpkin each and every year. I love how they turned out and even better its a quick and easy fix! 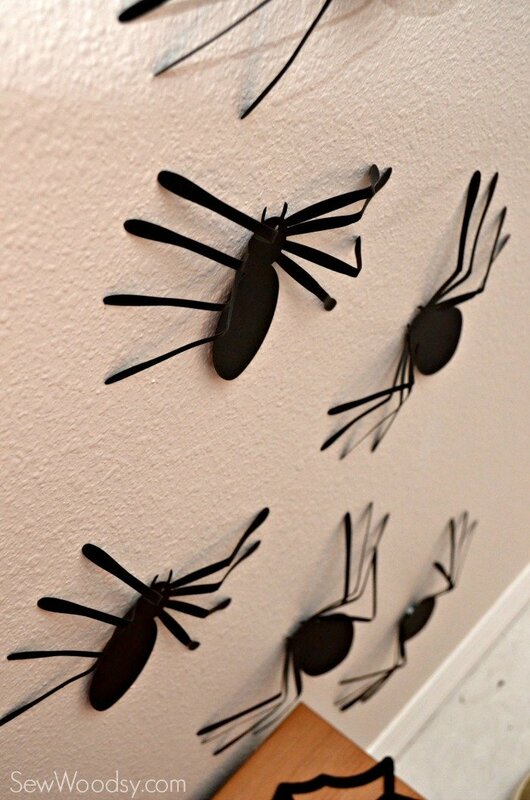 Next up, time to place the spider silhouettes on the wall and mirror. 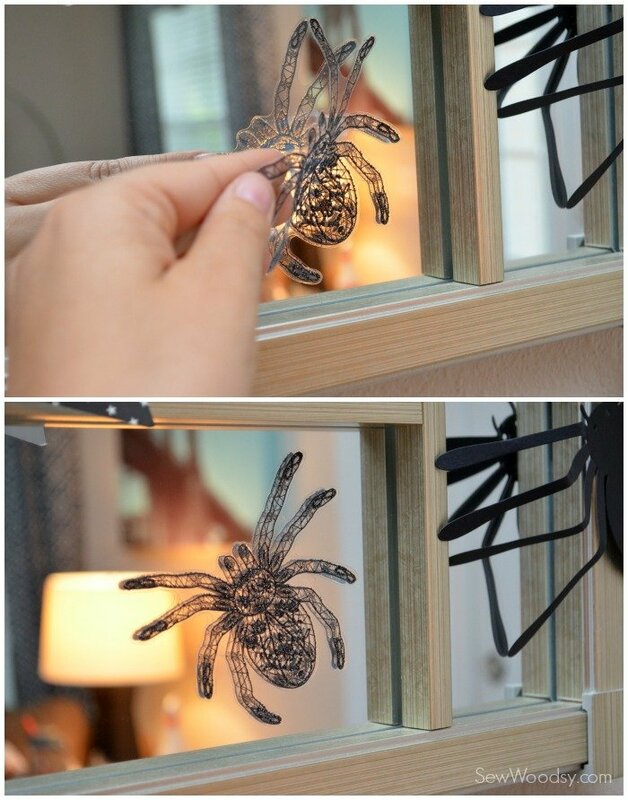 I also used the spider window clings and placed a few on our foyer mirror. 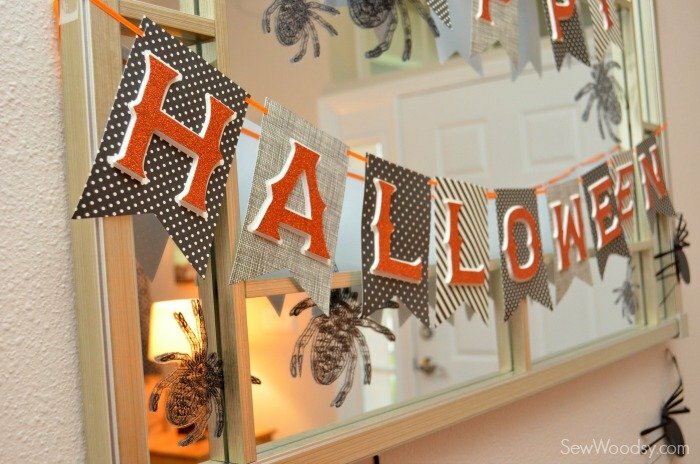 I love the spider window and mirror clings, they give the perfect scary chic touch! 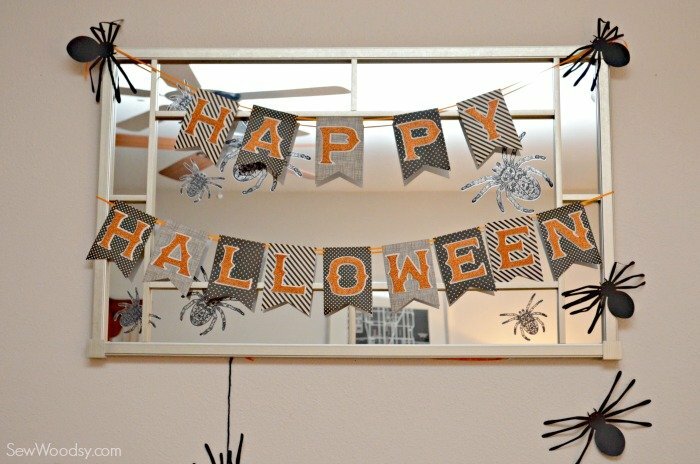 I hung the Martha Stewart Crafts Halloween banner on the mirror. It comes as one long piece. 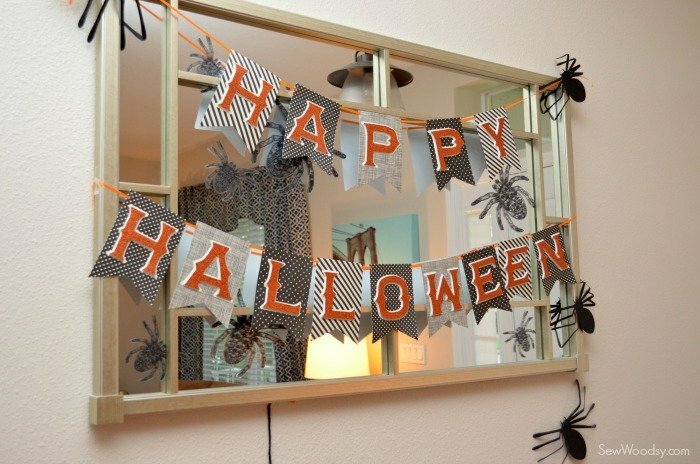 I cut it in half and removed the cute pumpkin pennant because I didn’t feel like it worked with what I was trying to accomplish. 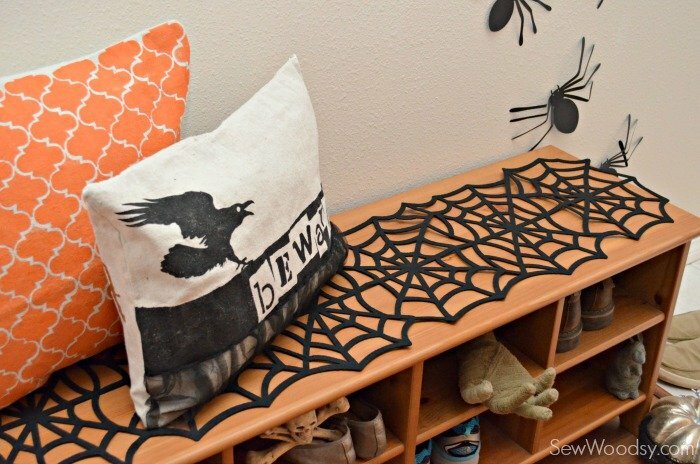 I love the spider web table runner. I used it on our shoe bench instead. Remember those pillows? I made them a few years ago. 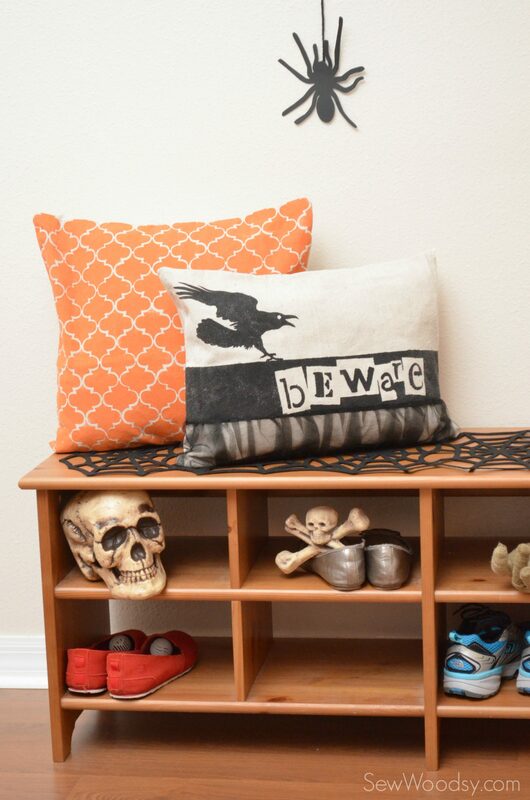 I love them and you can learn how to make your own Double-Sided Halloween Painted Pillow Covers, too! I love our scary chic foyer to our home! 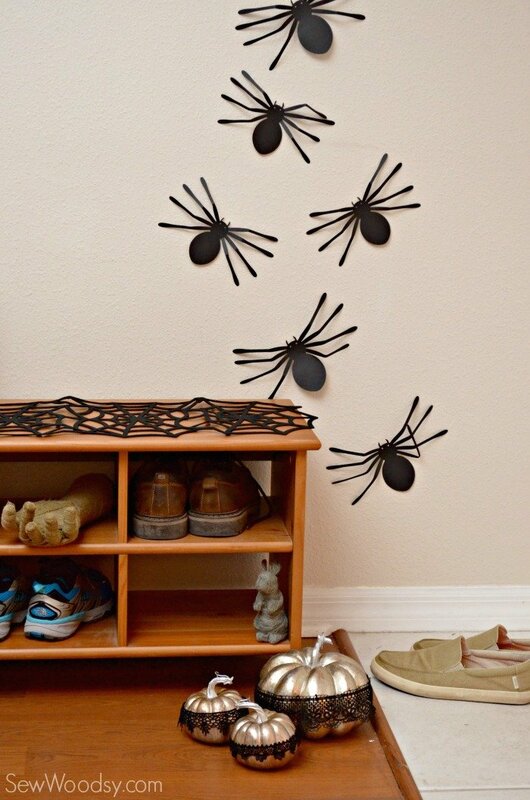 I used these 3-dimensional spiders last year and reused them again this year. I love them and the dimension they give to our space! So there you have it. I transformed our foyer in the matter of 30 minutes. So if I can do it with a 6 month old you can definitely decorate too! 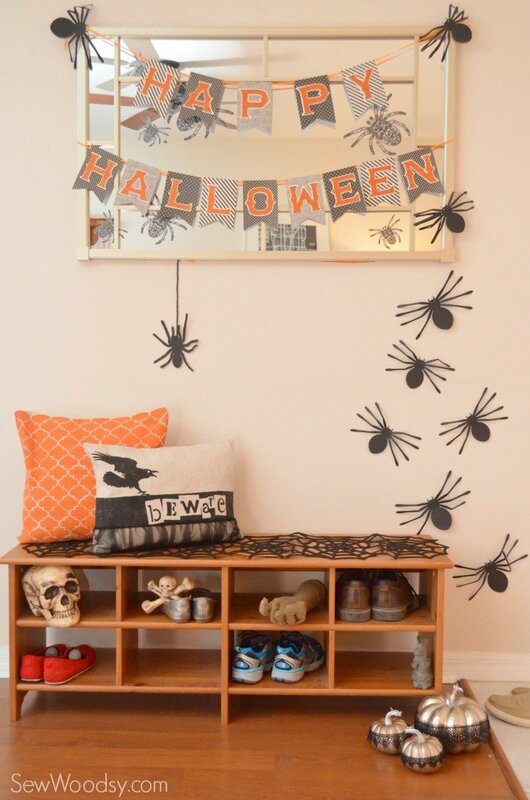 Even if it’s just your foyer it will definitely get you in the halloween spirit! Disclaimer: We received product for free. As always all opinions are our own.